Maybe it’s the Asperger’s in me, or maybe I’m just plain weird, or possibly both, but the one thing I love the most about the English language, aside from puns (as long as I wrote them) is combining words that might not otherwise be combined. 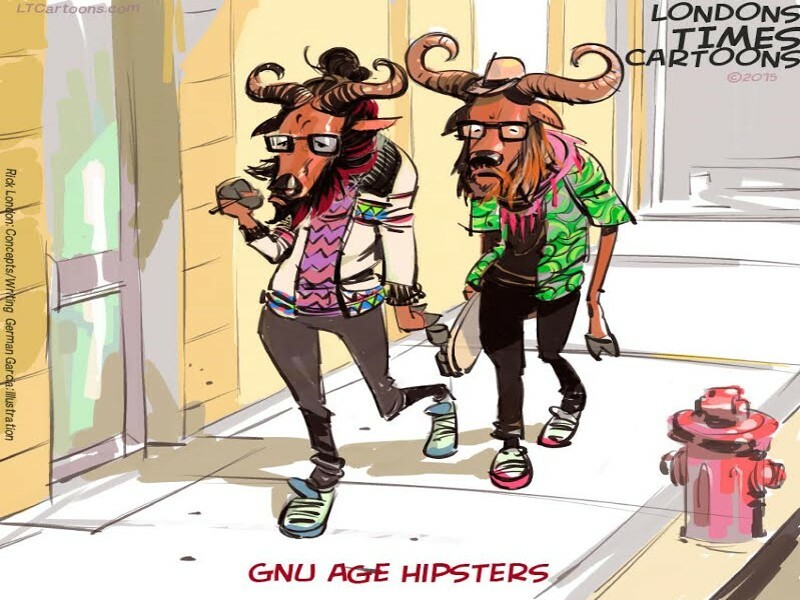 And sometimes that involves puns (or pun-like words or phrases) such as “Gnu Age Hipsters”. Shakespeare was what I call “an extreme editor” and one of his most famous quote was “Brevity is the soul of wit”. Even during his fifty something odd years on the planet (back in the 16th Century) he understood human nature enough to know that an audience much preferred a short joke than a long joke; in other words attention spans were short, even back then. So one of his most important quotes, “Brevity is the soul of wit”, was truly one of his most important, at least to him, and to those of us who think of his writings when we write our own humor. Should I use 20 words when I can say the same thing in three or four words? Believe it or not, the majority of humor writers use 20, thinking that if they have more to say, it is somehow “more valuable”. Shakespeare knew nothing could be further from the truth. A person not trained in the “art of humor” knows how to tell a long joke and eventually get it right”. A person trained in humor writing, even if self-trained as I am, knows painfully well, I’ve lost them if they have to read more than just a little. And ask my wife Lee, that is not easy for me. I don’t write emails….I write essays. But I’m getting better. At least with the cartoons it forces me to whittle down all the words that come to my mind, and think of the 0-20 or so words that will make it funny, with the most minimal of text. I knew what I was going to say with Gnu Age Hipsters before I even “fleshed it out” for our team artist German Garcia to render it. German has worked with me long enough now to where I no longer have to “blueprint” the cartoons. When we first started, I had to write little details like “one of the gnus is carrying a skateboard”…”one of the gnus is wearing a way to Hawaiian shirt and the other maybe SW/Arizona/Mexico, and one has it’s shoe tongue flapped out. I no longer have to write any of those details. German just knows. And he often does it now better than I could ever think it up, and that’s a lot of fun to see his surprises as he is a master artist, and also a master creator. Dictionary.com cites a gnu to be: A large dark antelope with a long head, a beard and mane, and a sloping back. Dictionary.com has 3 definitions for a hipster. The one of which we think the most is: “A person, especially during the 1950s and 1960s, characterized by aparticularly strong sense of alienation from most established social activities and relationships; a beatnik or hippie.” But another common definition that comes to mind is “A usually young person who is trendy, stylish, or progressive in anunconventional way; someone who is hip.” It also notes the original hipsters were beatnick-types out of the mainstream who often played jazz. German was able to combine all 3 definitions and create the ideal hipster; one to which we could all relate (or not relate). Finally the term “New Age” which as always been a bit obscure to me. I never really got what it meant other than when yoga and meditation became popular, full moon meditations, and all kinds of fun leftover hippie things that some of us brought with us from the 60s well into the 70s and 80s. Though I never looked at New Age with such a broad range of thought processes, as I found much of it to be “neatly-packaged reworded but “more hip” versions of the original monolithic religions, I felt, “Okay, if the founders of the New Age movement want it to seem more creative, novice and different, then that’s their business. They’re the ones marketing it and making the cash on it. So…..I combined the three, the best I could, knowing good and well I would probably make someone mad, and I’m sure I will. But I also knew from my wife’s chuckle, I might just make someone, maybe even more, smile and get a good laugh, and nobody really gets hurt. I like that. We have Gnu Age Hipsters on backpacks clocks, pillows, Tshirts, and all types of gifts. Rick London is an author, songwriter, cartoonist and gift designer. 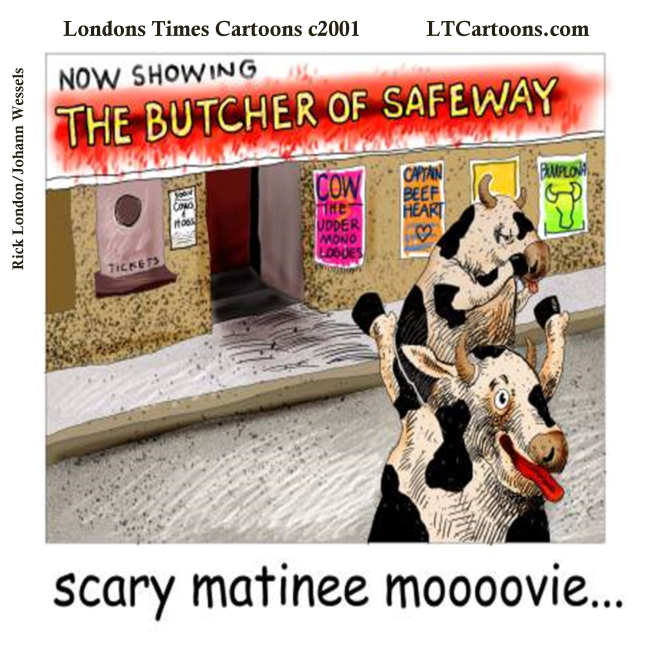 He is best known for his Londons Times Offbeat Cartoons which he launched in 1997 and licensed funny gifts from Rick London Gifts. He also likes to blog 🙂 His illustrator/associate German Garcia is a cartoon and fine artist in his own right and has worked for DC and Marvel Comics.